I have also seen them in Talador both as primaries and secondaries (mostly secondaries), especially in Kuuro's Claim and the cave in Deathweb Hollow. Where alot of them around (63,75) nere the camp. Also found a rare one as a 2 pet in talador!! got a rare first try, just below thorium point flight path. 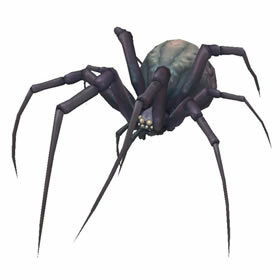 The rock-hard carapaces of these spiders allow them to survive in the Searing Gorge's blistering heat.